Zohar Adner is the author of The Gift of Stress – a cognitive/behavioral guide to redirecting energy trapped by stress connected to underlying ambitions. The impact of his book in conjunction with facilitated learning experiences has driven cultural, group, and individual transformation and performance optimization. Zohar has worked across a wide range of industries (e.g., tech, consumer goods, entertainment, and education) and with functions within these organizations spanning finance and legal to technology and HR. 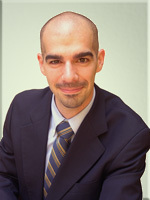 Zohar has a degree in Economics from NYU. He has also studied, performed, and taught improv comedy since 2000. 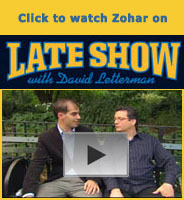 It came in quite handy when Zohar was selected by Late Show with David Letterman to coach one of their staff on the show. "I now have a better understanding of how I am currently handling work situations and how I can improve the situation both immediately and in the long-term." "Zohar’s workshop totally changed my thinking. He somehow managed to bring me and the others in the class past our inhibitions. Zohar is truly talented." "I didn't really expect to deal with as much as I did, but the process was able to both confront the real issue and give me some new and realistic options." "Zohar is an intuitive, empathetic man who honestly cares about helping other people improve their lives."